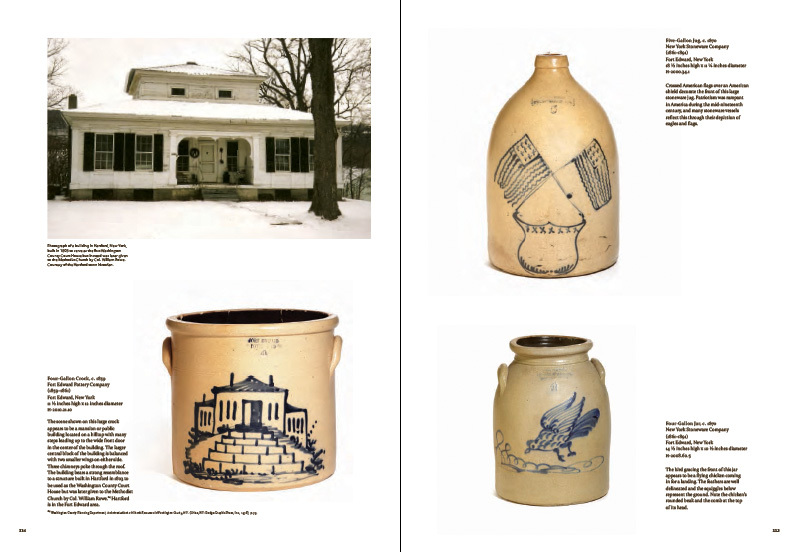 A copiously illustrated and scholarly analysis of the single most important collection of 19th century American decorated stoneware. 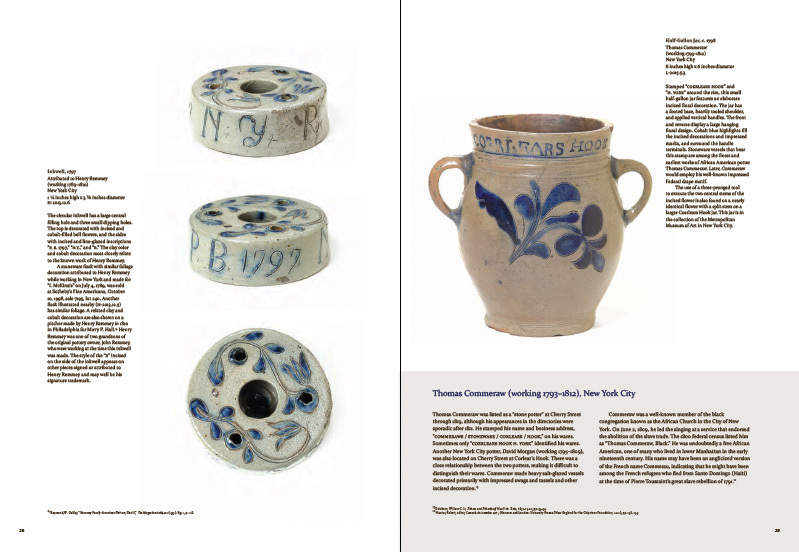 The book is a careful study of ordinary forms and their humble, utilitarian purposes that became vessels for an expression of a person, of a place, or of an event. 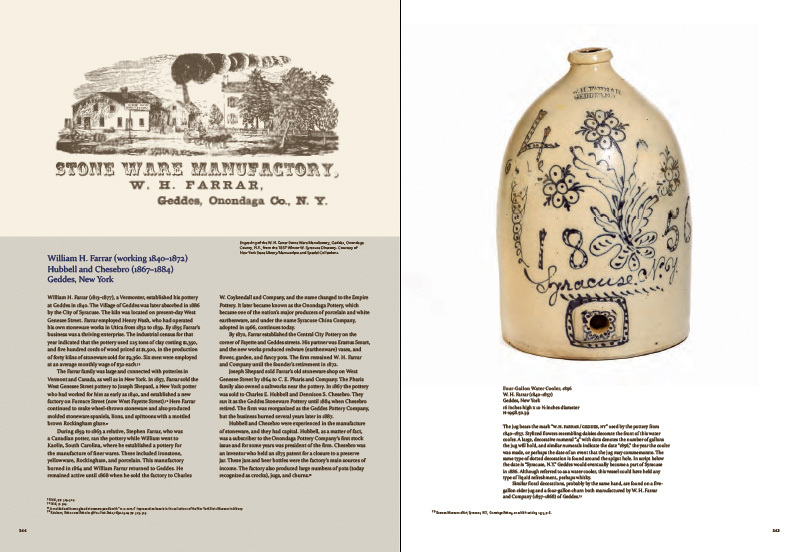 What started out as an everyday ware was transformed into a work of art and the decorative designs in cobalt blue afford insight into and reflect life in 19th century America. 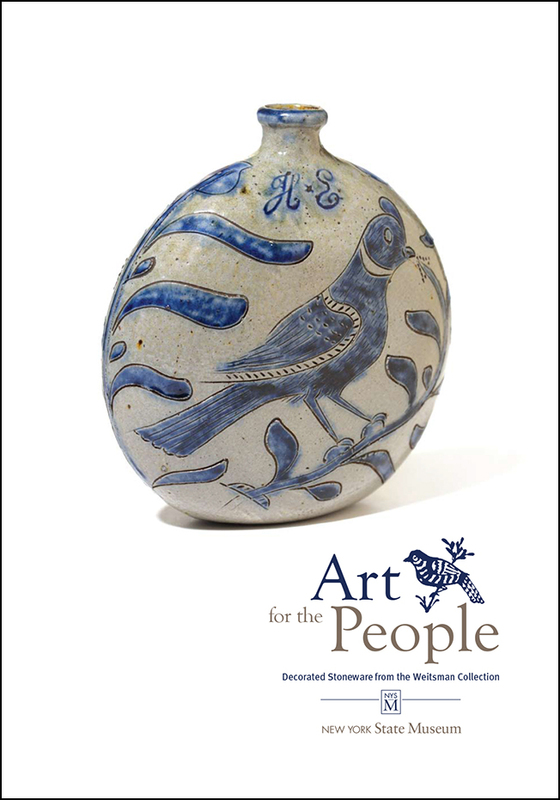 Sometimes commemorative and other times humorous, whimsical, or provocative, the book's 230 examples and 340 color photographs fully illustrate the variety of decorative folk art imagery, the range of potters and potteries, the broader historical context of manufacturing and transportation, and an important American tradition with regional practices. 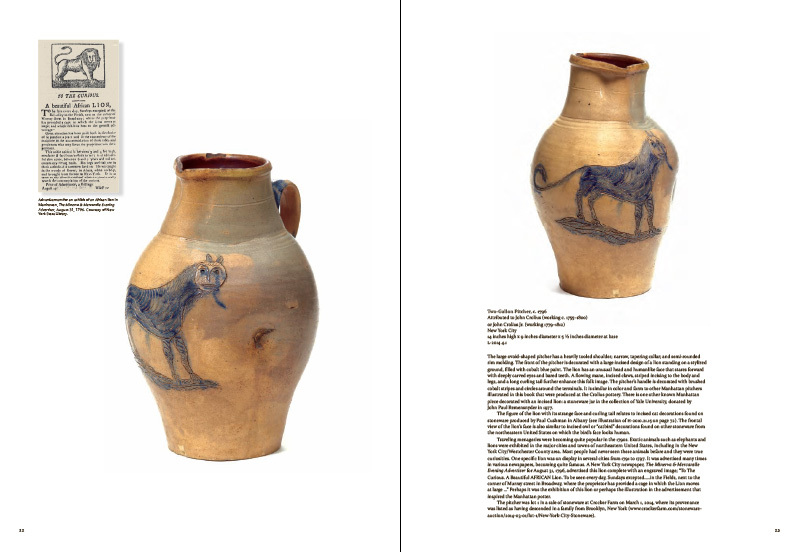 Senior historian emeritus John L. Scherer's engaging and authoritative text, in tandem with the profuse illustrations, leads to greater understanding of these remarkable works. 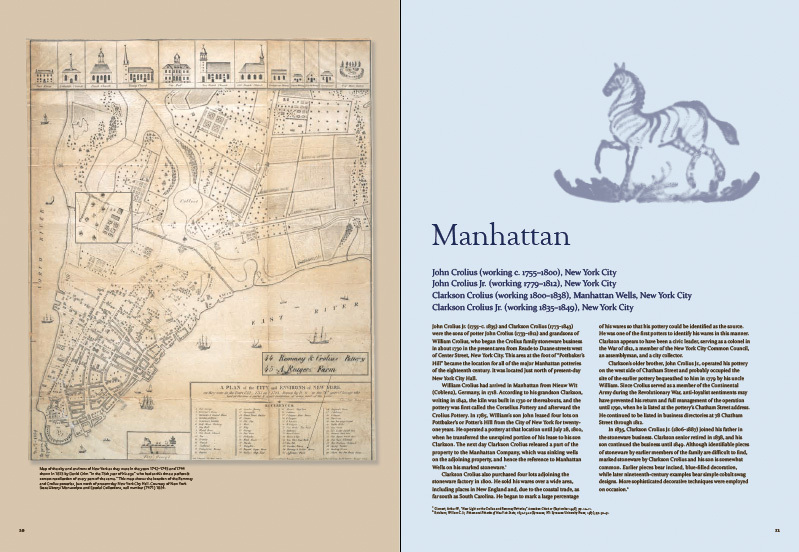 Published by the New York State Museum and distributed by RIT Press.